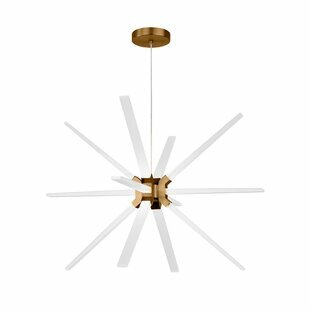 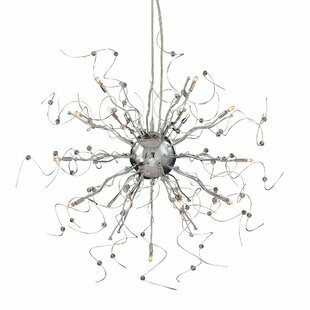 The simplicity of the starburst-inspired base is heightened by the globe-style vintage filament bulbs which glow beautifully. 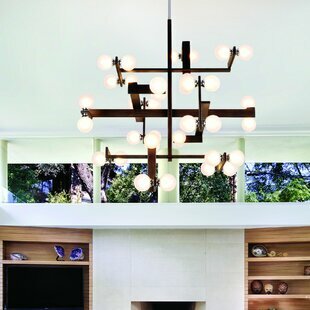 A deep, rich palladian bronze completes the look. 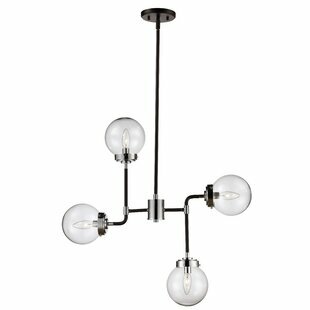 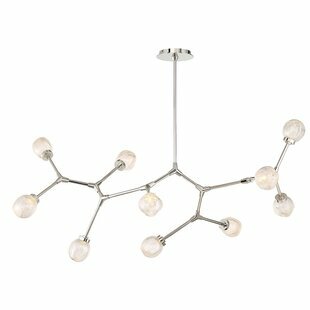 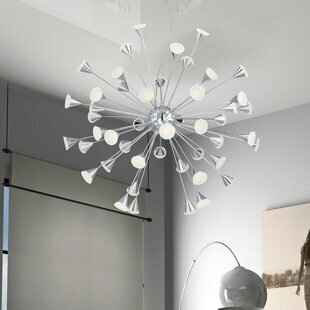 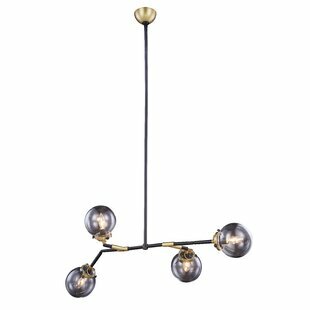 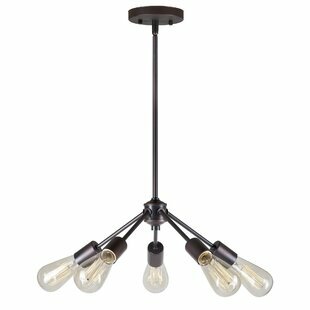 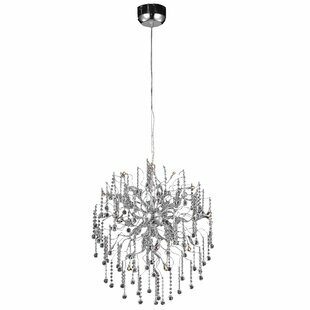 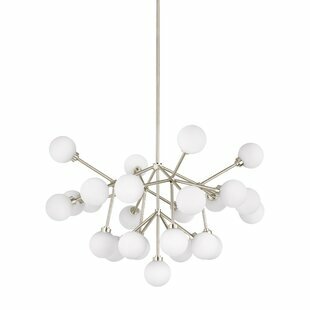 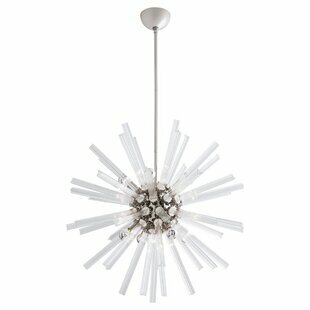 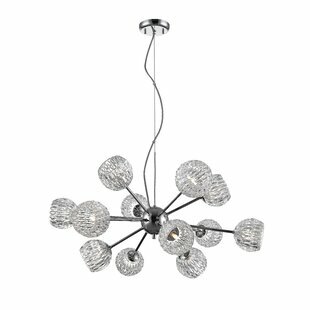 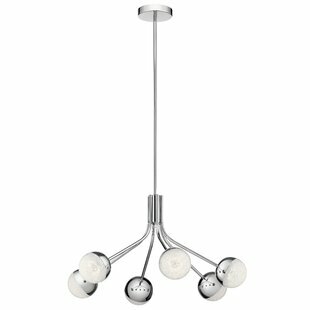 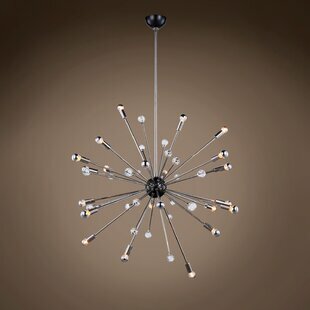 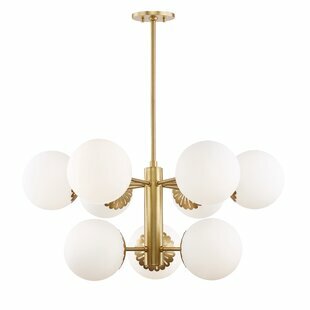 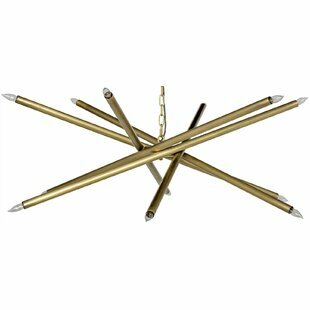 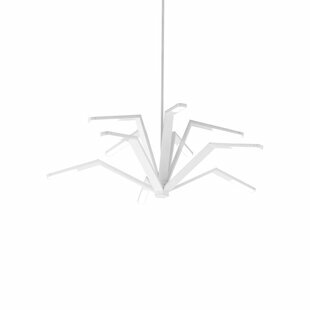 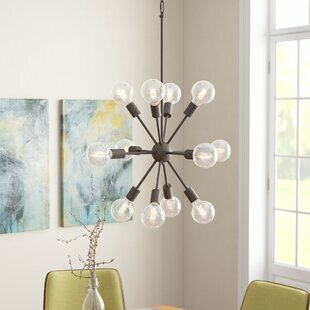 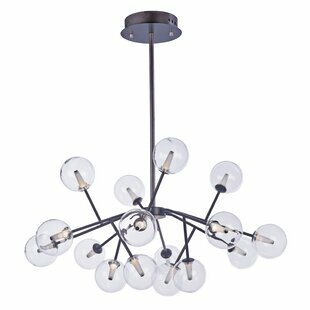 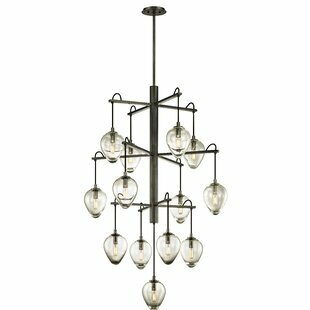 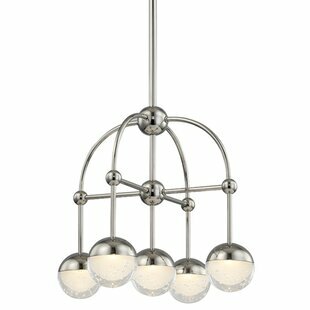 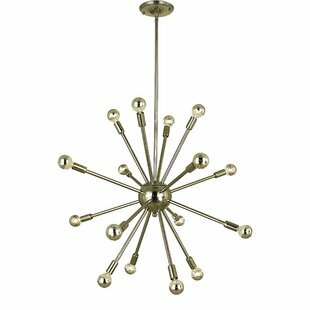 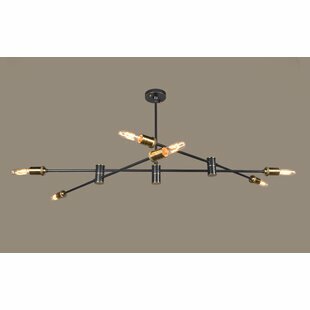 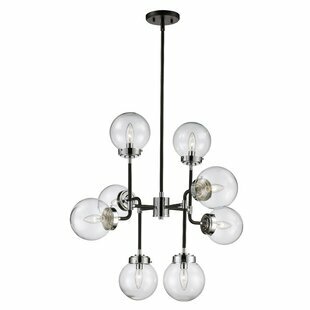 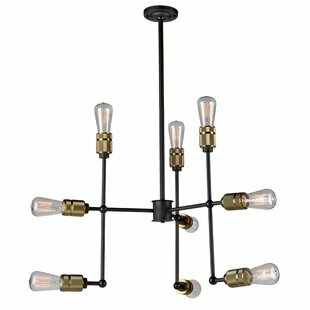 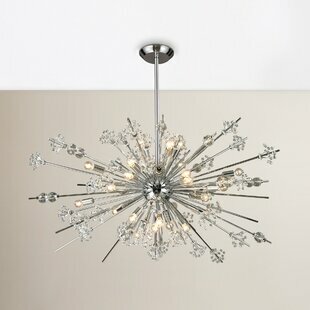 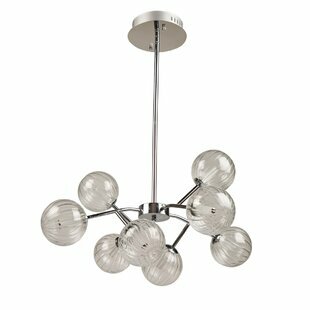 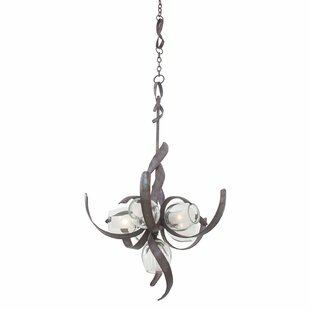 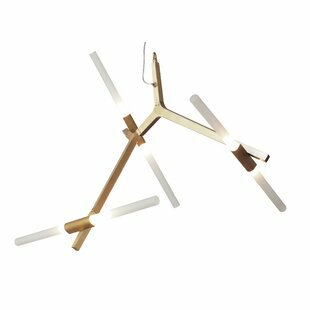 Number of Lights: 12 Fixture Design: Sputnik Adjustable Hanging Length: Yes Fixture: 24 H x 28 W x 28 D Overall Weight: 9lb.